Tom McAllister | Book Fight! Hello, new friends and/or future enemies: thanks to this post at The Millions, we’ve been getting lots of traffic today from people presumably trying to figure out what our whole deal is. It can be pretty daunting to figure out where to start any new podcast, but especially one that has a 4 year backlog of weekly episodes (understandably, the author of the post at The Millions was a little thrown by our… unorthodox… episode numbering system, and though that post says we have 130 episodes, we have something closer to 250). 5) UPDATED 1/3/17: We recently posted our 2016 highlights, in case you’re looking for even more suggestions. People love different things about this show, so your favorites might differ from mine. But hopefully this helps you get started. Categories: News | Tags: being a good host, episode guide, people like us maybe, welcome new people | Permalink. The title pretty much says it all: here we are. This year, we’re both taking a break from the AWP conference, mainly due to scheduling issues but also due to the thing where AWP is exhausting and expensive and dangerous to our fragile psyches, but we will still be with you in spirit, holding our own off-site event in suburban New Jersey, in which just the two of us have a couple beers and talk about how we’re pretty glad we’re not at AWP right now. Anyway: on your flight, you will need to keep yourself entertained and also will need to do everything possible to avoid conversations with strangers. So, if you’re new to the show and don’t know where to begin or you’re just looking for a refresher on some classic episodes, here’s a sampling of Book Fight episodes of note that you can download and feed to your brain, except during takeoff and landing because you need to hear those safety instructions. AWP Dispatches (2013 and 2014) – These aren’t our traditional episodes, but they give you a pretty good sense of the AWP experience, as told by two guys who maybe aren’t cut out for this whole thing. I think the 2013 episodes are a little better than the 2014 ones, but they both are worth a listen. White Out with guest Leslie Jamison – I’ve noted several times that this might be my favorite episode of the show, because we’re discussing an interesting book in a way that really strikes our ideal balance between serious writing talk and nonsense. Christmas specials (2012, 2013, & 2014) – if you’d rather avoid really serious book talk and think you’d like the more lighthearted episodes, the Christmas specials are an ideal starting point. In them, we discuss a wide range of pretty terrible books, including Glenn Beck’s dumb Christmas novel, a firefighter romance, and an incomprehensible mystery story about a magic bounty hunter or something? The Year of Magical Thinking – in which we discuss Joan Didion’s memoir in what actually qualifies as a more sober episode and involves no fan fiction. The True Deceiver with guest Matt Jakubowski – Matt guides us through the strange Nordic world of Tove Jannson’s fiction, discusses gender disparity in literary awards, and more. This episode also stands as one of the slightly more serious ones, if you’re into that kind of thing. Writers Ask (various) – In this feature (currently on hiatus) we answered listener questions about MFAs, submission cover letters, MFAs, and other stuff. You can dig through the full archive or just check in on episodes dealing with how to generate new material when you’re between projects, scams that prey on writers, some MFA stuff, writers in academia, literary agents, and, maybe the true fan favorites, our two NaNoWriMo episodes from last year. Fall of Failure # 7 – my favorite of our fall episodes, in which we discuss Stefan Zweig’s final published story and also look into the long history of failed comebacks (including the discovery of The Gum King himself). BONUS: the entire Summer of Shorts, unless you hate fun, in which case, just check out the stuff above. This ought to be enough audio entertainment to keep you occupied through one layover and/or one delayed flight. If you’re looking for more, you can always dig through the archives on this site or in the iTunes store. And, hey, if you like us, please pass the word on to your friends and also leave a rating for us in iTunes. Categories: News | Tags: AWP, AWP 2015, conferences, episode roundup, highlights, loners, probably there are other podcasts that exist too, surviving flights | Permalink. Yes, it’s that time again. The annual fundraiser begins today. We never went into podcasting to get rich, but we do hope to get some small return for all the time and money we invest in producing a weekly show that’s free for everyone to download. We love doing the show, and we’re going to keep going as long as it’s fun for us. Your contributions can help to support us in that endeavor, enhance the quality of the show, and (we hope) fund at least one road trip for another live show (or two or three?). This year, we’re running fundraising through Indiegogo, so if you visit our fundraising page, you can see the full story and also track our progress. 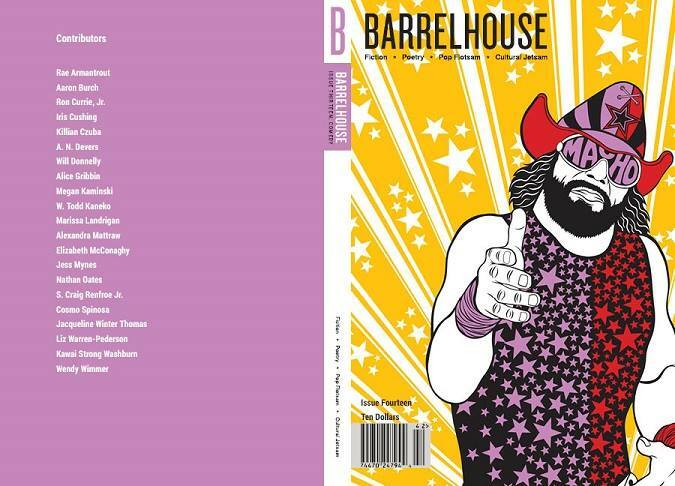 Because we are an affiliate of Barrelhouse, which is a 501 (c) (3) non-profit, all donations are tax deductible, and there are, as always lots of great rewards for donors. My personal favorite is the Freaky Friday level of $1000, but you may be more comfortable with the $35 level which will get you the holiday bonus pack of three exclusive holiday episodes. Like last year, if we reach our goal of $5000, we’ll record a bonus episode based on your votes. What the hell, maybe we’ll even read Silver Linings Playbook again. The fundraising page is here. Please check it out, tell your friends, and if you can spare it, make a small donation to the show. Categories: News | Tags: fundraising, mo money fewer problems in general, money, ways to get money | Permalink. Hey everyone: we have a store now. And it sells t-shirts. Until 9/10, you can pre-order t-shirts at the discounted rate of $18. Over time, we’ll be adding more products and a greater variety to the store, but we think you’ll love the designs we have in place already. So go there and get your pre-orders in now. ITEM NUMBER TWO: We’re running our first ever live show in Philly on 9/25 at 7 PM. Guests include fan favorite Katherine Hill, Barrelhouse author Lee Klein, and writer/musician Joey Sweeney. We’ll be hosted by the great indie bookstore The Spiral Bookcase, and the evening will be full of all the tomfoolery, mikefoolery, and lit-adjacent talk you’ve come to expect. Also maybe bring a flask. We hope to have some shirts to sell on site, but your best bet is to head over to the store and order one now.